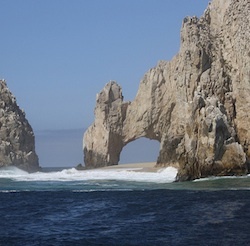 Cabo San Lucas Mexico began as a small fishing village; today it is one of the top tourist destinations. Filled with adventure, fantasy and plenty of sun, there’s no wonder so many people visit Cabo each year. 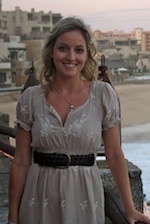 Accommodations range from cute bed and breakfasts to the 5 star luxury hotels that put Cabo on the map. From location to history, here’s a little about Cabo. 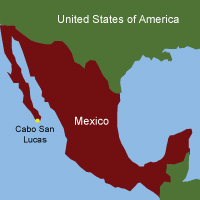 Where is Cabo San Lucas, Mexico? Bordered by the Pacific Ocean and Sea of Cortez. Located less than 80 miles south of Baja California Sur’s capital city of La Paz. With 360 days of sunshine, there is really no bad time to be in Cabo San Lucas. High season runs from November to May – which is when the prices are the highest. Christmas is the busiest time in Cabo. Spring Break (mid-March) tend to be very popular for college students and families. Carnival (February – March) is also a very busy time in Cabo. Low season is June – Mid-November. This season has the hot summer months of July and August and the tropical storm and hurricane months of September and October. The touristic parts of Cabo can all be seen by walking. Taxis are everywhere in the city and charge reasonable rates. The best deals in Cabo can be found in vacation packages. There are a number of affordable all-inclusive resorts that provide unlimited food, drink and activities with a flat-fee. These resorts are nearly all right on the beach and are fun for all ages. You can also get a great deal on activities. There is a huge amount of competition in Cabo tourism for all activities from city tours to swimming with dolphins. Ask around as much as possible and bargain with the salespeople. Let them know how much you want to pay or better offers you’ve gotten from other places. Along Medano Beach you will find places like the ME Cabo and several Pueblo Bonito Resorts. These resorts are near town and have swimmable beaches. Whether you’re traveling with friends, family or significant others, this area will show travelers a good time. The Corridor is the 18-mile stretch between Cabo San Lucas and San Jose del Cabo. This area is very relaxing and has luxury resorts like Westin, Sheridan and Dreams Resort. Here is also where you will find the well-renown golf courses of Cabo. This area is perfect for vacation getaways and has many spas and fine dining. If you are looking for a complete luxury vacation, check out renting a villa. Villas usually have many bedrooms, private pools and many other great amenties. Companies like Sun Cabo have a large directory of gorgeous villas for you to choose from. One place with great food and fantastic atmosphere is Mi Casa. Mi Casa serves delicious local favorites and decorates their restaurant with displays of traditional crafts and beautiful artwork from the region. 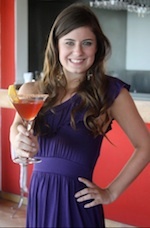 Nick San is an upscale sushi restaurant serving some of the freshest fish caught straight from the Cabo Bay. The ambiance is also very beautiful. For something a little more familiar, check out Baja Cantina. With one location by the beach and the other by the marina, this place serves up hot plates and cold beer. You’ll have a relaxed atmosphere, free wi-fi, live music and wonderful views. Located right on a beautiful shoreline, the most popular activities in Cabo involve water. You can enjoy the Cabo Bay by renting a kayak or sailboat. Snorkeling and scuba diving is another popular activity in the Cabo area. Known as “The Aquarium of the World,” Cabo has one of the largest reefs in the world where you can see a variety of underwater flora and fauna. Cabo Expeditions and their fleet of Zodiacs offer some really exciting snorkeling. There are many championship golf courses that surround the Cabo area. You will find these courses are challenging courses that also have very beautiful landscape. Sun Filled Days, Fun Filled Nights!